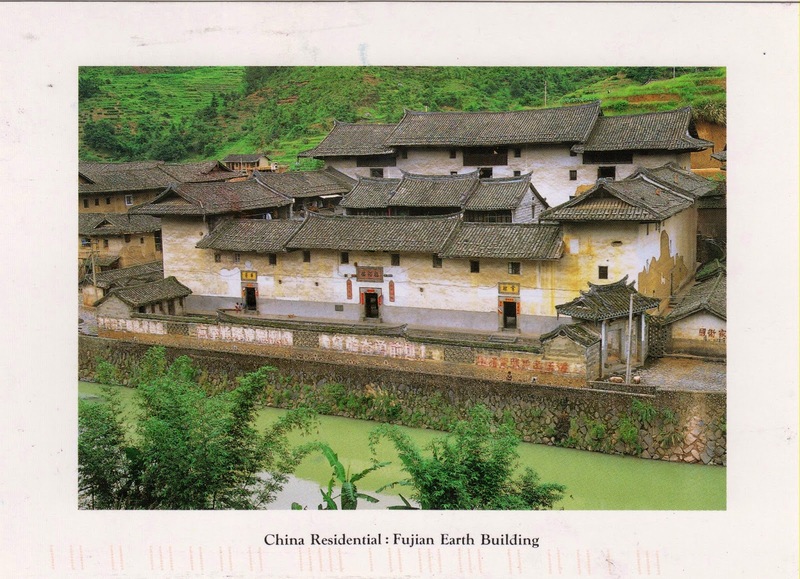 Postcard CN-1464982 from China shows a Fujian Tulou (福建土楼), the most representative and best preserved example of the earthen houses in China. Located in the mountainous regions in Fujian Province, those houses exemplify a particular combination of communal living and defensive functions, with a harmonious building relationship with the environment. A group of 46 earthen houses built between the 15th and 20th centuries was recognized as a UNESCO World Heritage Site in 2008. Fujian Tulou reminds me the elevated pit houses, pueblos, and cliff dwellings that Ancient Pueblo peoples built in the present-day Four Corners area in the United States.